I love filling my home with flowers! And I hate artificial blooms. But I do wish that fresh blooms would last just a little bit longer. Well, if you feel the same, I think I may have found the perfect solution! Yep, ladies! 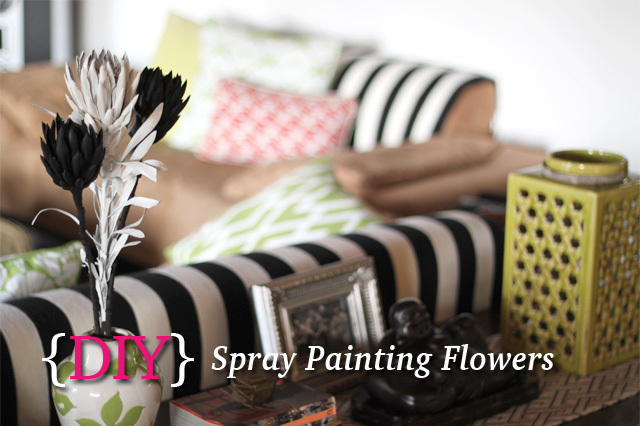 Get out those cans of spray paint and get crafty! It’s so easy! This weekend I spray painted some of my proteas that I had from a few months ago. They were dried out – which I still sort of still like, but I wanted to give them a fresh new look. The result came out beautifully and I now have three stunning, new and (almost) real floral arrangements in my home. 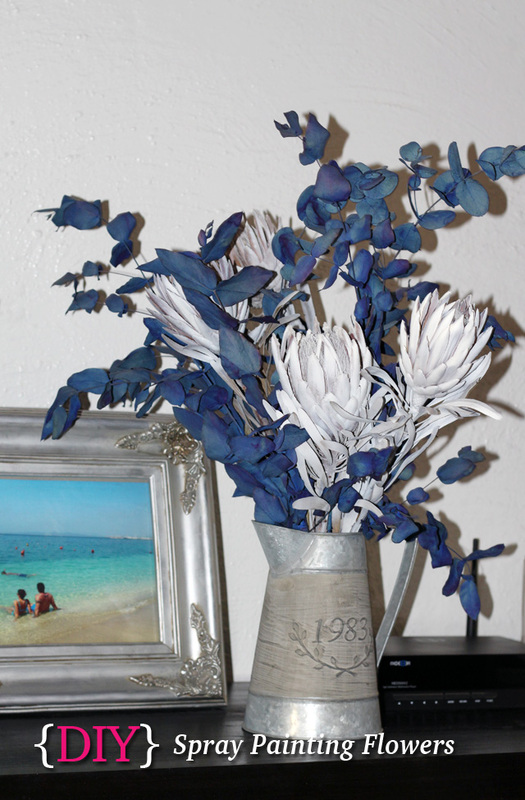 I purchased these blue, spray painted Pennygum leaves from my florist, where I got the idea to spray paint my proteas as well! Don’t they just look amazing? I tested spray painting some Proteas that I had with black spray paint in my garage. It was so easy, I went out and bought two cans of white spray paint – one in a flat/ matt finish – which I used on the first two arrangements, and one in glossy white. I decided to keep the black Protea, and spray paint a second one to add to this vase in my lounge. 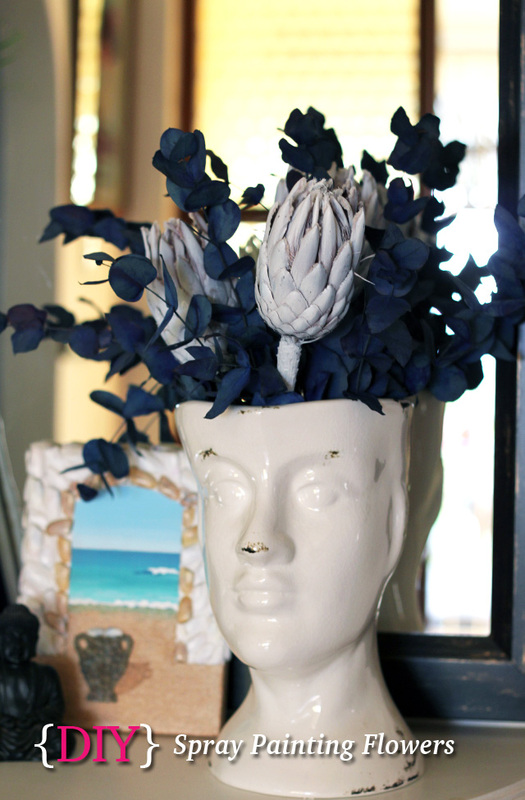 You will notice I have black and white accents all over, so the black and white Proteas looked kinda cool! For this arrangement, I used my gloss white spray paint, which gave my Protea a glass-like effect! 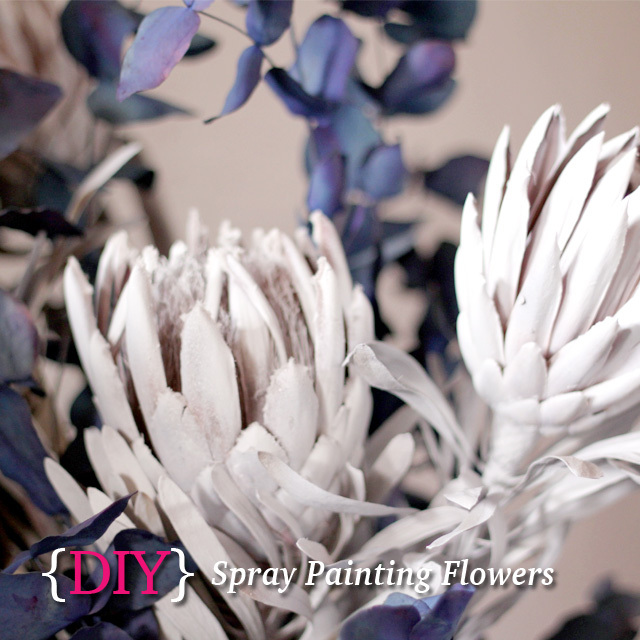 You can spray paint the entire flower to cover it in white (or a colour of your choice), otherwise you could spray lightly over the natural flower to give it boost of colour without covering it completely. I can’t wait to try this out with some more flowers. If you’ve got green fingers, let me know which flowers you think this would work with. Next Post Durban Students! 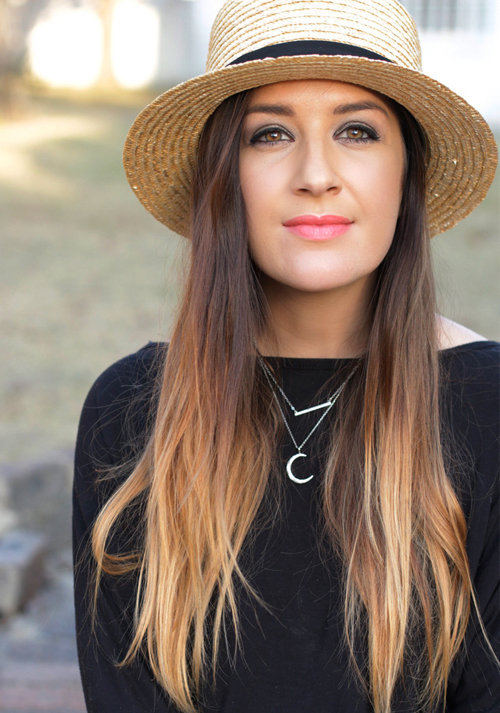 Want A Chance To Win A R5000 TOPSHOP Gift Card?